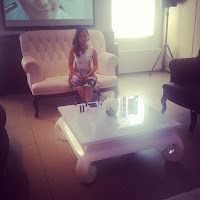 Thanks to Loose Button, I was able to sit down and talk with Michelle Phan at her Lancôme Press Release. It was a great experience and quite different from what I was expecting. 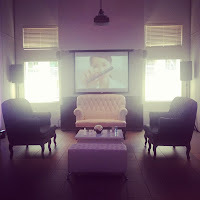 When I got the invite, I pictured Michelle Phan sitting at a table in front of a sea of journalists and bloggers. 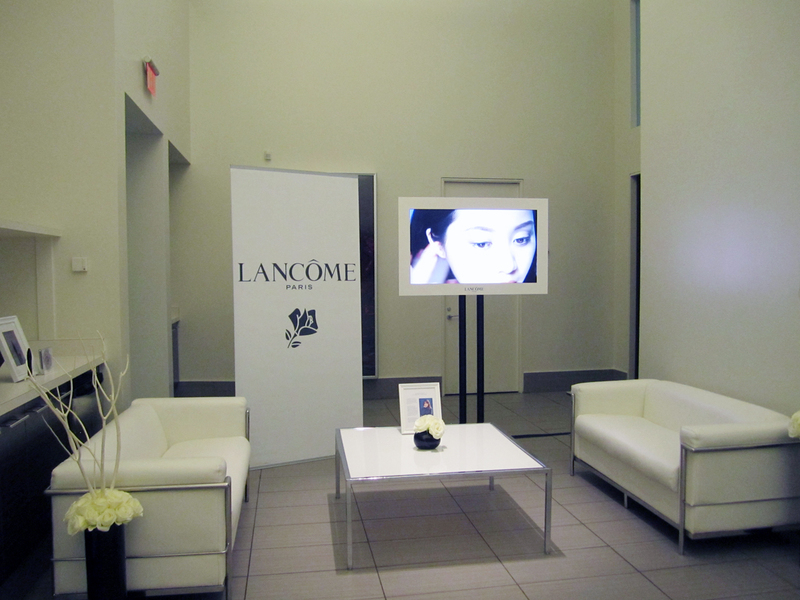 Instead, it was a one-on-one with her, Lora Spiga (Lancôme Canada Official Make-up Artist), and Julie Tremblay (Lancôme Canada Communications Manager). 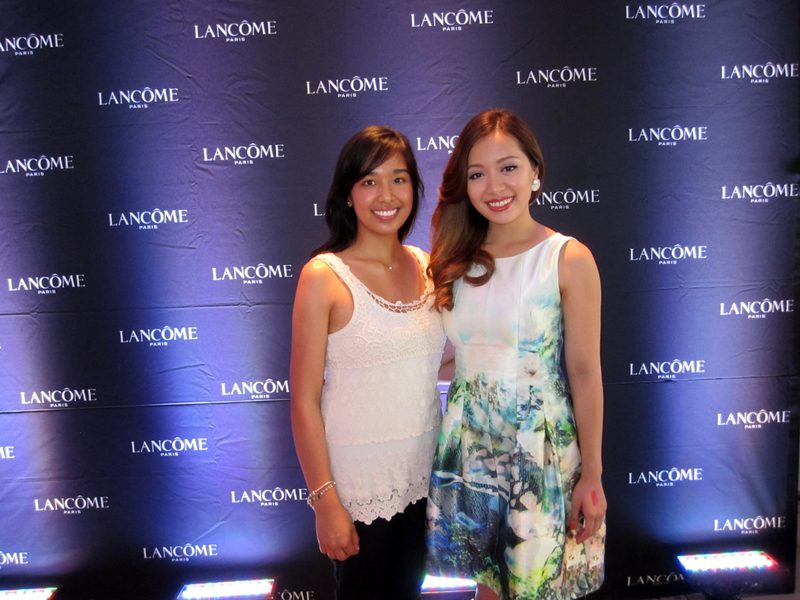 It was a lot of fun and Michelle shared some of her favourite beauty products and gave me a sneak peek at some of Lancôme's Fall collection. 1. Juicy Tubes (not at all sticky and won't leave globs in your hair when the wind hits). 2. Lash Curler (it has a wide mouth, perfect for wide eyes -- it's reminiscent to the Shu curler). I also learned that it's important to replace your entire lash curler (and not just the silicone pad) because it loses tension after a while. 3. Bi-Facil (it's so important to remove your makeup before you go to sleep). 4. La Base (great primer.. if you have combination skin like Michelle Phan and myself, just use it where your skin needs it. It doesn't have to go all over the face). 5. Hypnôse Star (a mascara is only as good as the brush and the brush on this is so unique -- almost like a flat cone). 6. Lavender Grace palette (this is the palette Michelle was wearing on her eyes and it looked stunning). 7. Artliner (The flexible felt tip liner is wonderful for creating any look -- Lancome is coming out with great new colours soon, too). I was also able to ask her some questions (thinking fast because I was unprepared), like her FOTD (eyes were created from the Lavendar Grace palette and lips from the new Fall 2012 Collection) and what she would recommend to me for a night look (a dramatic cat eye -- she said with my eyebrows, I could get away with more risqué looks). It was just a lot of fun, Michelle Phan is so nice, not to mention gorgeous. You're lucky you could attend ! So cool that you met her! Wow how amazing that you got a one on one!! Jealous girl looks like a great time wish I had crazy holidays like you so I could have gone to the general event! What a great opportunity! I'm so glad MP made her way up to Canada!